With MEDEXA, you can manage the complete billing of your services, items, acts, courses, or anything else quickly and easily. You can bill a parent, a third-party payer, or a company. 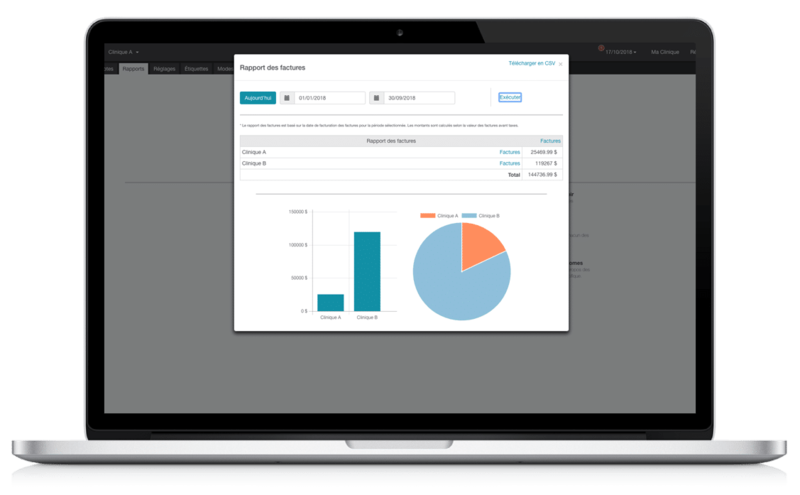 You can group multiple consultations on a single invoice and even add other items to them. Do your patients want an overall receipt at the end of the year? No problem! MEDEXA is there to do it for you. 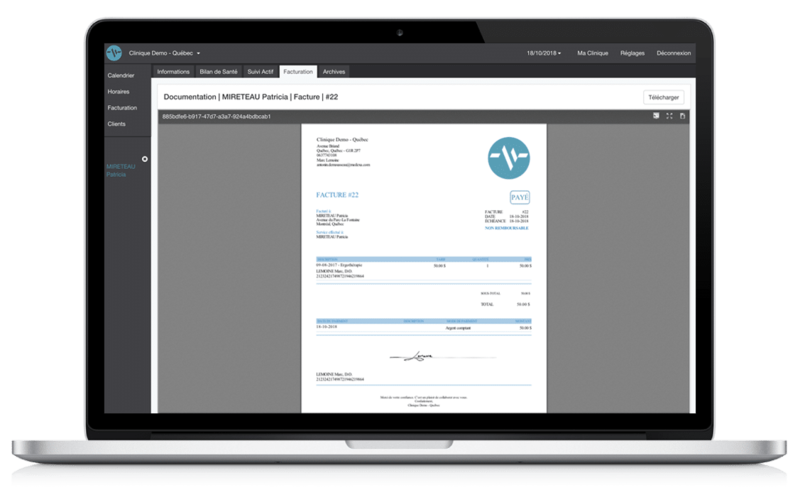 Once the consultation is finished, you can automatically generate an invoice or a treatment receipt. Our billing system will then take the information from the appointment to avoid double entry of information. You can then send it by email or print it directly in just two clicks. Everything is then sorted and archived automatically in the patient’s electronic record and in the accounting interface. With MEDEXA, you can manage your inventory. Whether you’re billing items, acts, or courses, you can administer everything from the item management interface. Simply specify the quantity of an item in stock and MEDEXA will reduce said quantity each time it’s billed and will even alert you when it’s out of stock. 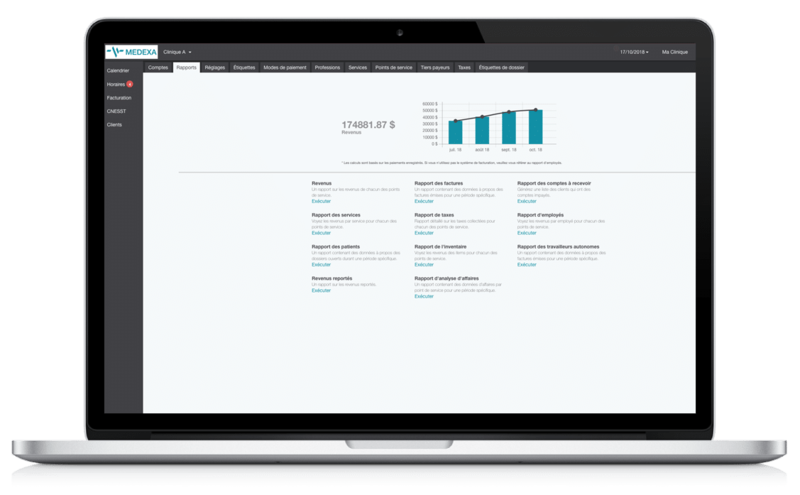 MEDEXA’s accounting interface lets you consolidate all your invoices and earnings. Filter and sort them, then export or print them directly from the software. 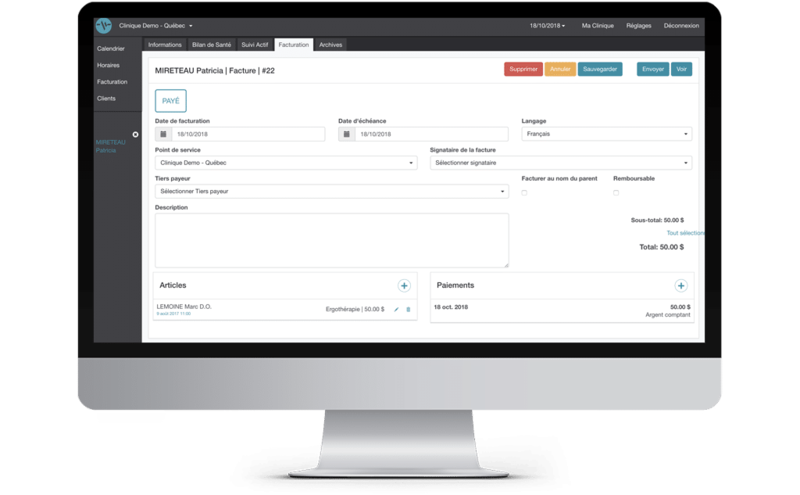 All the information (invoices, appointments, revenue…) automatically generates reports and a series of statistics useful to the proper management of your clinic.